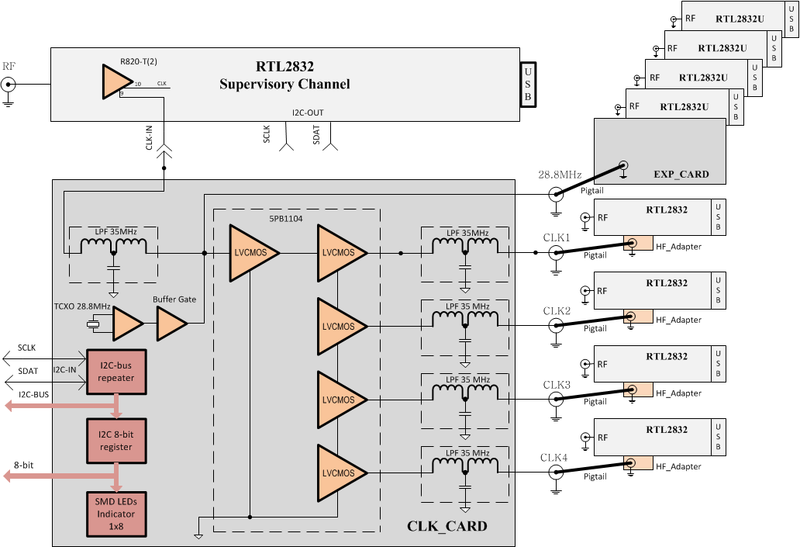 The Medium Level Receiver is based on the СLK_Card and EXP-Card (see block diagram). 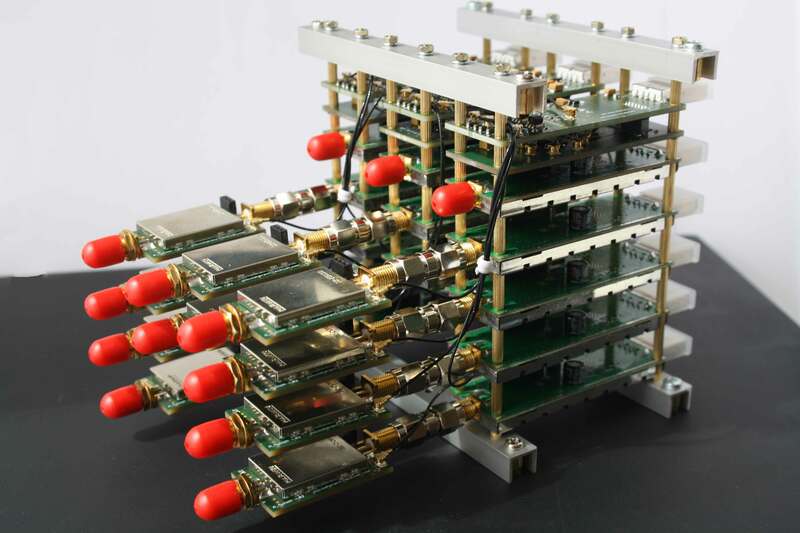 Sharing these cards allows the building of structures with up to 10 channels: 8 channels are identically synchronised by the buffer clock 5PB1104 (CLK_Card and EXP_Card), and 2 channels are synchronised directly by the TCXO 28.8. Note: the 10th channel is not shown on the diagram, but it is used as the power source for the EXP-Card. 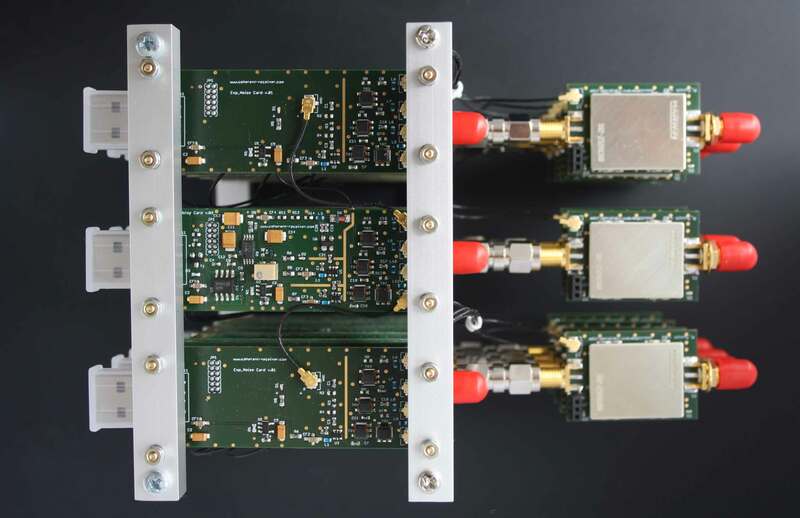 The 1st and 10th channel can be used in conjuction with channels 2…9 as coherent channels or remain independent (supervisory channels) for bandwidth monitoring or external management, e.g. I2C.